We are in the process of marketing/bottling 4 different styles of our Original Barbecue Sauce. They are listed below and we currently have 3 of them bottled and ready for sale. Sixcylinder, Horsepower and Overdrive are ready for a test drive - so get yours on order today. ORIGINAL - sixcylinder - Perfect for the mild taste bud. Our Original Barbecue Sauce has all the flavor but not any heat. This suits the beginning taste bud fans who like a lot of flavor but not any heat. Get yours today. MEDIUM - horsepower - Perfect for the developing taste bud. Our Medium Barbecue Sauce has all the flavor and the beginning stages of heat. The heat index is just right for individuals who like a little heat, but can't handle too much. Medium adds the beginning level of heat to our Original flavor to develop one's taste bud without overpowering them. So when your ready to start adding some heat to your sauce, start by ordering this today. 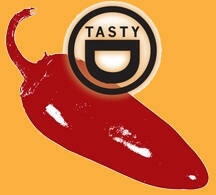 SPICY - overdrive - Perfect for the experience taste bud. Our Spicy Barbecue Sauce has a lot of flavor and a high level of heat. The heat index leaves a lasting impression but not overpowering of the flavor of the sauce. This suits the more developed taste bud, one that can handle tons of flavor and a lot of heat. Get your order in today. ATOMIC - burnout - definitely for the mature taste bud that can handle the highest level of heat with all the flavor. As we continue to develop our product, this will become available. Check back for future updates as this hasn't been manufactured yet. Currently - we have three of our sauces available for purchase and they are shown below. If you're willing to develop your taste buds, start out on the mild side with our Original. As you feel the need for a little bit of heat/spice, Medium is where to be, and if you believe you have a more developed taste bud, then Spicy is right for you. Get yours today.